There is always something exciting going on at Springbok Casino. This month, you get to celebrate crazy South African world records at Springbok Casino with free spins on the Ghost Ship slot game. Being the fun, crazy country that we are, some of our Guinness World Records are somewhat unusual. Check out a bunch of fun and funny world records on Springbok Casino’s site. One of the most fun, and typically South African, is the most people blowing a vuvuzela at the same time. Enjoy the videos of these great records, and play your free spins to round out the month. 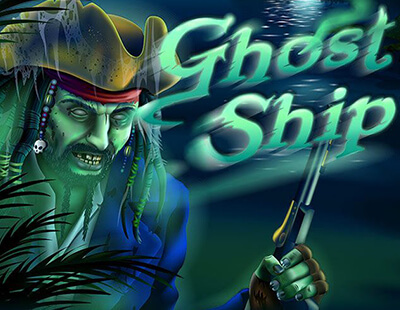 Take a spooky trip into the slots world with the Ghost Ship slot game from Realtime Gaming (RTG). Claim your 25 free spins any time from now until April 30th, 2019. Redeem the free spins with the WORLDRECORD coupon code, and get spinning the reels. The Flying Dutchman, a cursed ship, was not allowed to dock at port. The ship, only seen at night, scared the wits out of those nearby. The question is whether you are brave enough to go on board and seek the hidden treasures in the dark. Not only are there treasures on board, there are also treasures in the depths of the sea around the ship. Spin the reels, and see if you can find the eerie ship’s bell, heard at night by those nearby. Other symbols to keep an eye open for are the ghostly captains, canons, treasure chests, and more. Enjoy bonuses and benefits when you see enough Scattered Ghost Ships, and the Wild Ghost Captains on the reels. Ghost Ship has five reels, three rows, and up to 25 flexible pay lines. Keep an eye open for the Wild Ghost Captain who expands to cover an entire reel. This symbol substitutes for other symbols, helping create more wins. Other important symbols are the scatter ghost ships. Three or more scatters trigger the free games bonus round with free spins and up to a 10x multiplier. South Africa’s gymnast, Zama Mofokeng, reached a world record of 34 consecutive acrobatic moves. He did 34 backwards handsprings on one hand, a feat never seen before! In October 2017, South Africa reached a world record for the most dogs wearing bandanas in the same place. This unusual record took place at The Big Red Barn in Pretoria. Watch the videos on Springbok Casino’s site for more Guinness World Records madness. South Africa holds the record for the biggest soap sculpture, the most bungee jumps in one hour and the longest sausage roll. Who do you think collected the most steel cans in a single month? And who do you think holds the record for applying lipstick 535 times in one hour?